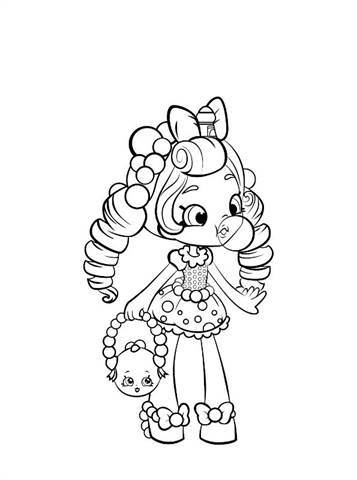 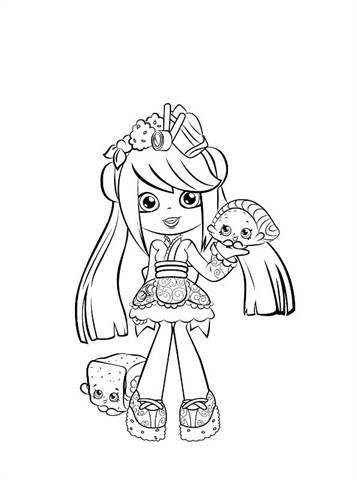 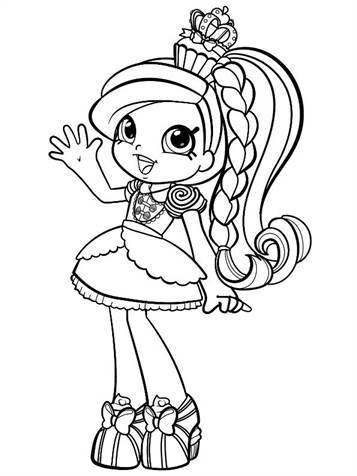 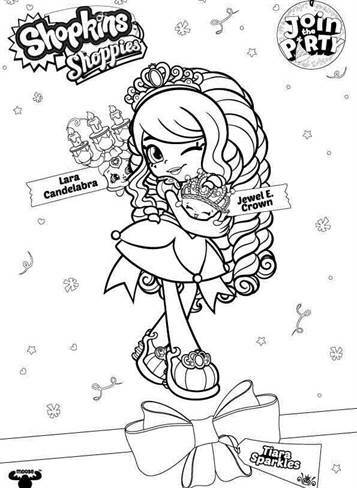 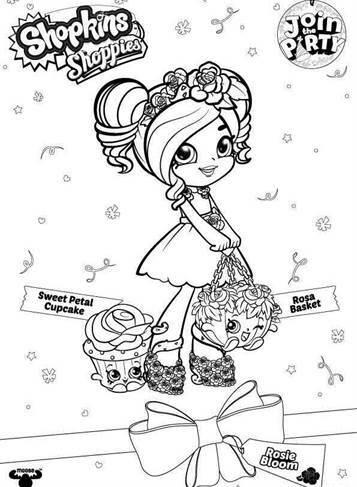 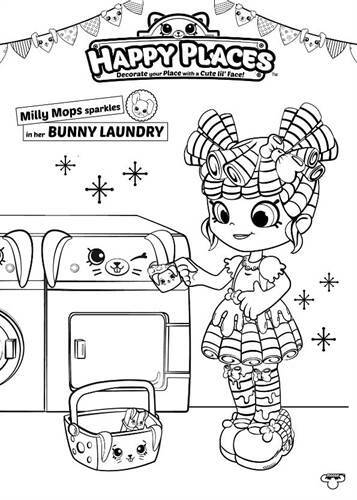 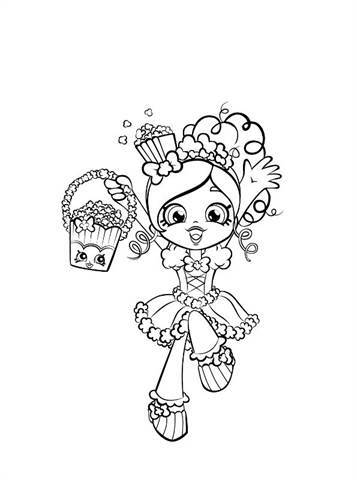 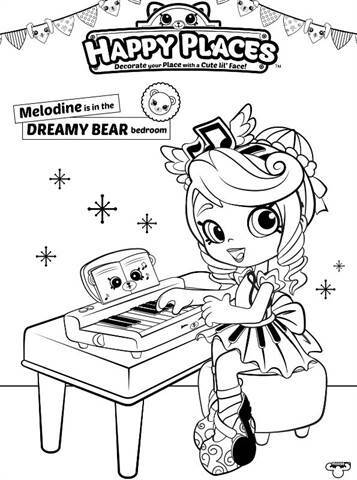 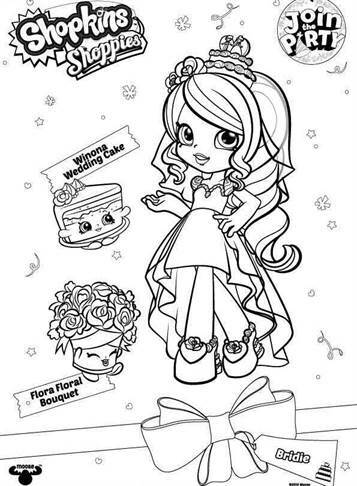 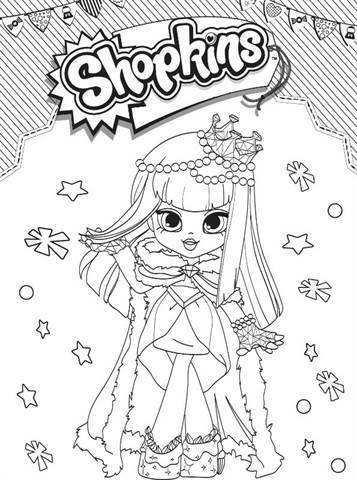 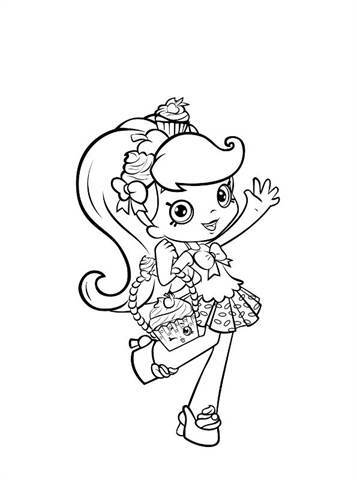 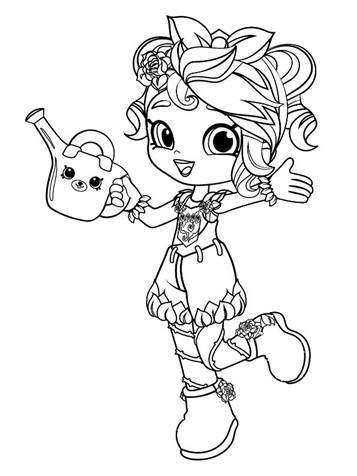 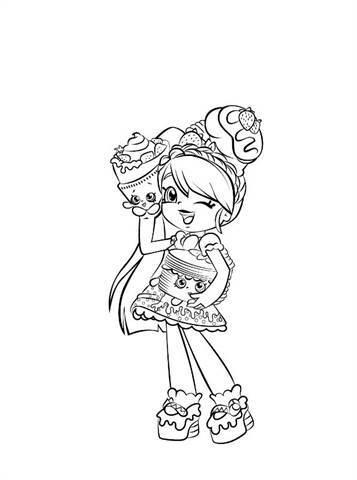 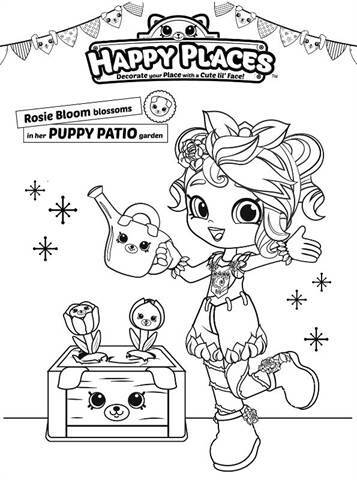 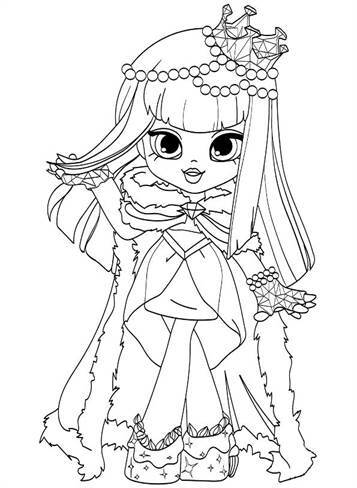 Coloring pages of Shopkin Shoppies. 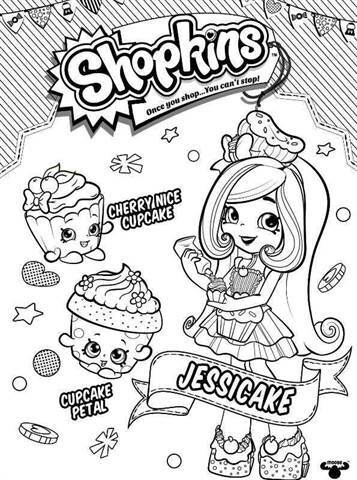 Shopkins are a range of tiny, collectable toys, manufactured by Moose Toys. 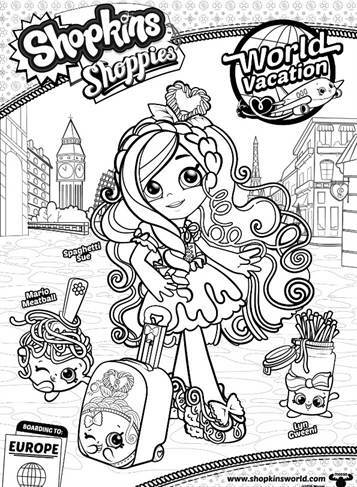 Based on grocery store items, each plastic figure has a recognisable face and unique name. 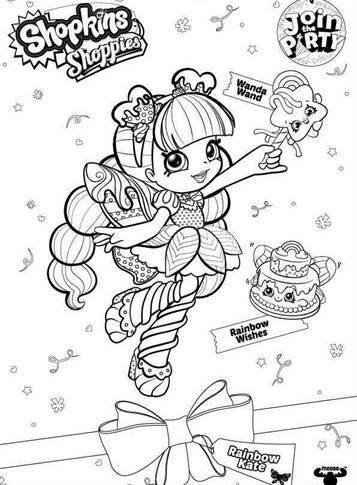 They also have special finishes like translucent, glitter, or squishy. 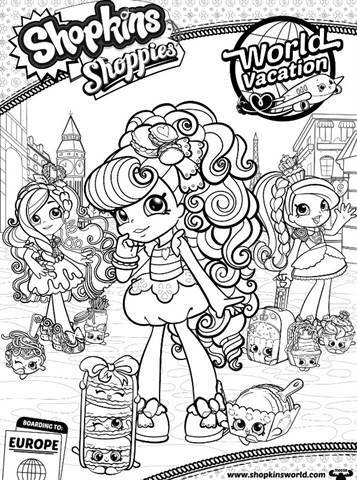 The collectable toys (which are designated as common, rare, ultra rare, special edition, limited edition, and exclusive) also have lines of clothing, trading cards, and other merchandise. 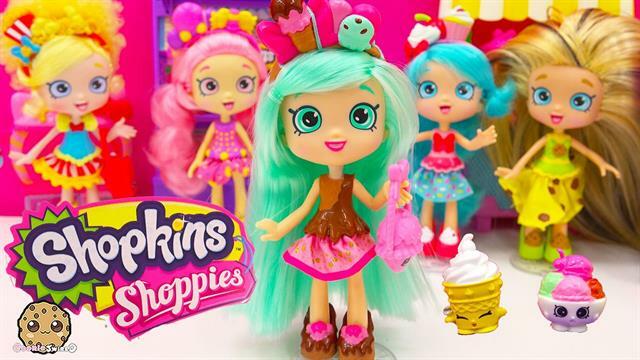 Shoppies is a Shopkins doll line that was originally released in October 2015. 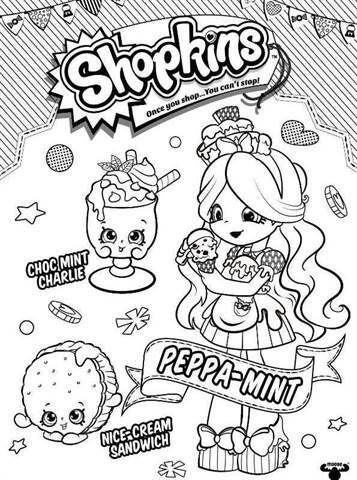 These fun and cool shopkeepers each have a unique personality, and their Shopkins and/or other Shopkins can be unlocked on the Shopkins app with the codes from their VIP cards.